Y’all know how much I love thrift store shopping, right? Usually I’m sharing finds that I paint and repurpose in some way. But did you know that I also buy about 75% of my clothes from thrift stores? And I have for most of my adult life. 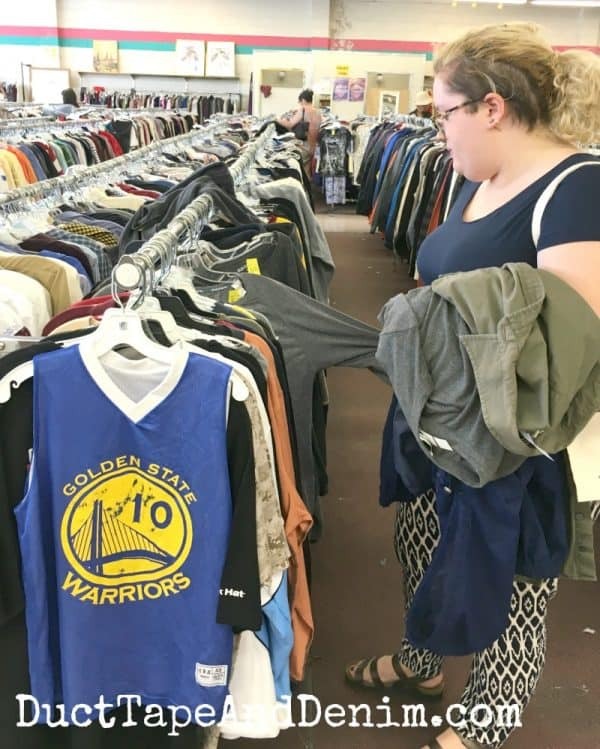 We have saved hundreds of dollars over the years by shopping at thrift stores. Especially when the kids were going through growth spurts! Now I don’t want you to think that you can’t buy clothes at a thrift store if your family has allergies or sensitive skin. We’ve dealt with both in our family. If you have sensitive skin you not only have to be careful wearing used cloths but you have to be extra careful with your laundry products. I’ve had to throw away several full bottles of detergent in the past because someone in the family would break out when I started using it. all® Free Clear detergent is the laundry detergent that I’m recommending today. Personally, I like that it doesn’t have a scent. I’m very sensitive to strong perfume or floral scents. I end up sneezing and sniffing all day. But it does get rid of those thrift store “scents” that I’m sure you have encountered. Read Labels: Don’t wash anything that says “Dry Clean Only”. And if it says “Hand Wash Only” just scroll down to the next section on Vintage Clothes. Take note of the water temperature recommended, too. Stains: Pour a bit of all® Free Clear detergent directly on the stain and work it in with your fingers. Depending on the fabric, you could rub it gently with a wash cloth or sponge. If it’s stubborn, use a toothbrush to scrub it. Divide: If you went on a BIG thrift store shopping spree, like Jordy and I did back in the spring, divide your clothes into piles based on the hottest temperature they’ll be able to handle and the color of the fabric. 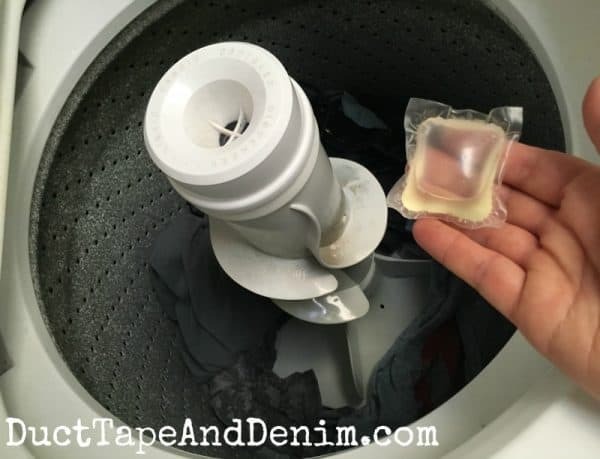 Soak: Throw your thrift store finds into the washer with an all® Free Clear Mighty Pac, fill with the warmest temperature your clothes can handle, leaving the lid open so the spin cycle doesn’t start. Let them soak for an hour or so before closing the lid and finishing a normal wash cycle. Or follow the directions on the all® Free Clear detergent bottle and run them through a normal wash cycle. One thing I want to make sure you understand before you leave, the instructions above are for modern thrift store clothes. If you’ve got something vintage, or if your pieces says “Hand Wash Only”, you’re going to need to be very careful with it. Test each piece by dabbing a mix of water and all® Free Clear detergent on an area that won’t be seen. I’ve never run across anything that it wouldn’t work with but you want to make sure on pieces that can’t be replaced! Fill a bucket, sink, or tub with body temperature water. Wash one item at a time. Let it soak for 30 minutes or so. Swish it around with your hands. Gently dab at the remaining stains with a clean sponge. Rinse the piece WELL with clean water. Roll it up in a towel and squeeze out as much water as possible. Knit items should be dried flat. Woven fabrics can be hung. If you liked reading about how to wash thrift store clothes, I bet you’ll like these articles, too! 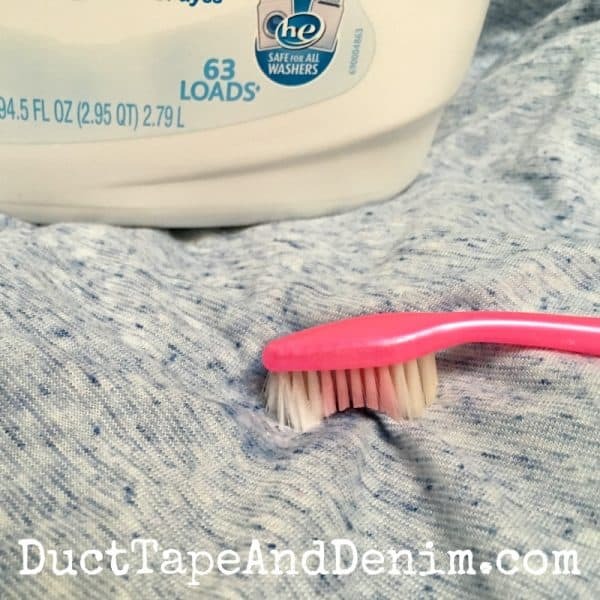 Do you have any other hints on how to wash thrift store clothes? Make sure you leave a comment and let me know what bargains you find at the thrift store! I did NOT know that about All! I may have to give it a try. I’ve lived with skin allergies/problems all my life. I don’t have a lot of problems at this point, but do occasionally. I love getting product feed back from friends. 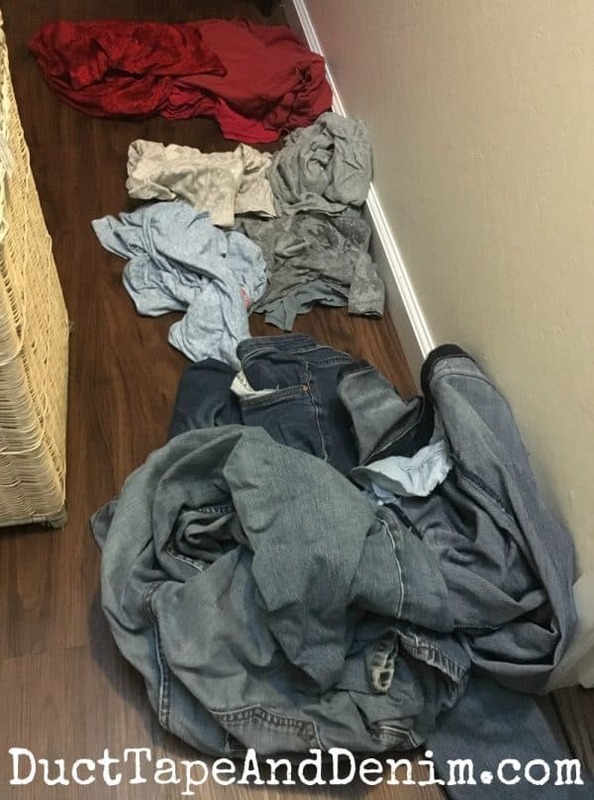 My tip on laundry…if the situation allows, wear your clothes, especially pants or outer shirts twice before washing. However, pay attention to the “allergy” part of the weather cast. If something that bothers you is high, it will hang out on your clothes. That is when you will want to put them through the wash. True! I often have to change clothes after I come inside if there’s a lot of pollen in the air.